“When most people think of Lou Reed, they picture the black, rotting heart of rock and roll, full of dissonance, decadence and decay. But as Anthony DeCurtis makes clear in his new book, behind the image and the rumors, Lou was one thing: a writer, a man who spent his life telling the absolute, painful truth in his songs – the truth about himself, the scenes he observed, and the world at large. His words were so powerful that the Velvet Underground had to invent a new musical language to match them. I’m not the first musician to pledge allegiance to Lou and the Velvets, and I won’t be the last. 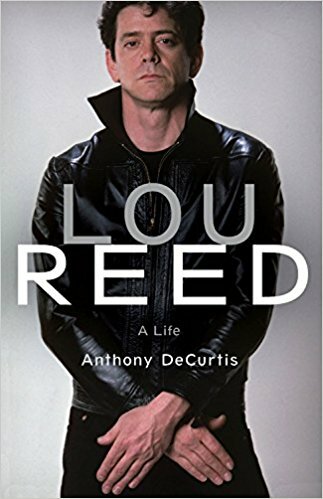 Read this book, and explore the f*cking genius that was Lou Reed.”―Peter Buck, co-founder and lead guitarist of R.E.M. Anthony DeCurtis is a contributing editor for Rolling Stone, where his work has appeared for more than thirty-five years, and a distinguished lecturer in the creative writing program at the University of Pennsylvania. He is the author of In Other Words and Rocking My Life Away and the cowriter of Clive Davis’s autobiography, The Soundtrack of My Life, a New York Times bestseller. DeCurtis is a Grammy Award winner and has served as a member of the Rock & Roll Hall of Fame nominating committee for twenty-five years. He holds a PhD in American literature and lives in New York City.